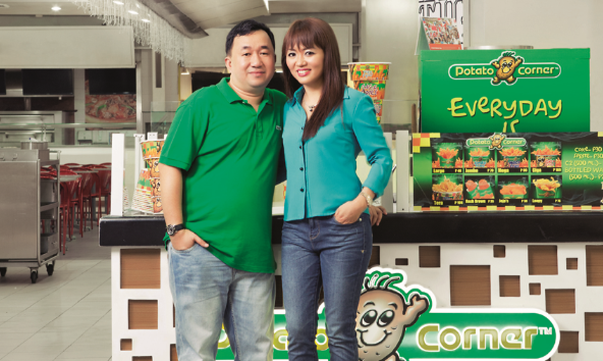 They own 16 Potato Corner outlets and counting. Lance Tondares always felt out of place when he worked at a bank—after all, he was a physical therapy graduate. Struggling with his career, Lance set his sights on franchising instead. “I needed to go into business—I don’t want my wife to feel that she’s leaving me behind,” Lance recalls, whose wife Chiclet was already a bank manager at the time. So while still employed in their respective banking jobs, the Tondareses bought their first Master Siomai food cart in 2007. 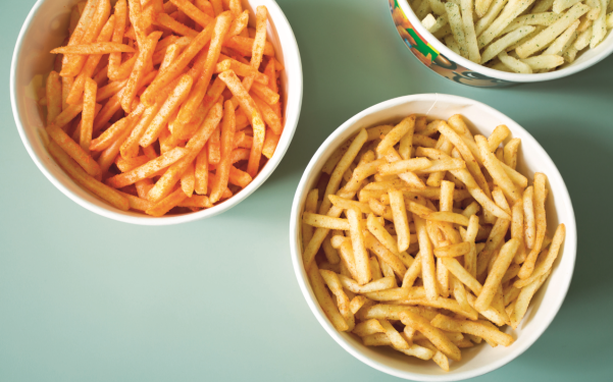 Eight years later, and well before their 40s, the Tondareses have accumulated a slew of food franchises ranging from 16 Potato Corners, six Famous Belgian Waffles, five TK Takoyakis, and three Master Siomais. “We only invest in food carts na gusto talaga namin,” says Chiclet, making it easier for them to file early retirement from their banking jobs in order to focus on managing their growing number of food carts. Their early years in business were not without birthing pains. “We had limited funds,” recalls Lance. “It’s a good thing that my wife was strict when it came to our finances—we knew how much we needed to save, and we made sure to hit that goal,” he adds. This allowed them to save to finance their first food cart. It also helped they worked in a bank—they were able to get a franchise loan as they had good credit standing. “It is very important to take good care of your credit standing, especially if you’re in business, because there will always be opportunities and you will always need additional capital,” Lance stresses. The Tondareses were also very hands-on during their early years in order to keep operations running smoothly. “We used to prepare the drinks at home, then just deliver them to the kiosks ourselves,” recalls Lance. “It’s harder when you’re still working,” he adds. But as the years progressed, and as the number of their franchises doubled, the Tondareses learned to hone their business management skills. Spotting and developing talent proved important. “It’s hard to manage people, so when I see someone with potential, I train them so that they can level up,” says Lance. Delegating smaller tasks also allowed them to oversee their multiple outlets more thoroughly, adds Chiclet. This story was originally published in the November 2015 print issue of Entrepreneur Philippines magazine.